Welcome to our year in review, so many events, classes and developments in our school and drum shop to celebrate. We’ve hosted some wonderful Australian and international artists including: Tony Micelli (USA), Virgil Donati (USA), Bill Bachman (USA), Rafael Jerjen (Switzerland) Daniel Susnjar (Perth), Jackal (Qld), Tambuco (Mexico), Damian Corniola (Melb), Gregg Bissonette (USA), John Riley (USA), James Whiting & Tate Sheridan (Aus), Fabian Hevia (Adelaide) as well as a host of drop in visitors. We are currently planning the 2017 visiting artists series and will keep your posted right here on our news and events page. 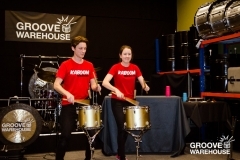 2016 Groove Warehouse performance events featured our students and staff in a wide range of concerts and public workshops including , Family Fiesta Night, Canberra Times Fun Run, Day of the Dead, Gregg Bissonette at the Basement, the inaugural Canberra Drummers Day – a day celebrating the drumming talent in our own town, and of course our end of year concert DRUMtacular. The Groove Warehouse Gallery Page (link) is the place to view and download the complete range of wonderful photographs of our events and artists taken by Michael Camplin, Gary France and Mark Turner. Please share with your friends and family, post on social media and help us to make a joyous sound. Speaking of social media, did you know Groove Warehouse has a social media presence on Facebook, Twitter, Instagram and YouTube !? Gary France continued to present workshops for music teachers and students at a host of Canberra public and private schools including the Arts Up Front Professional Learning Day, ACTMEN Conference 2016, Australian National Academy of Music (ANAM). He continued as Features Editor of DRUMscene/PERCUSscene magazine contributing articles, interviews and judging for Australian Ultimate Drumming Weekend’s (AUDW) Best Up and Coming Drummer competition 2016 (Melb). We hosted intensive workshops and holiday camps as well as a series of intimate concerts including Jazz and Contemporary Classical genres including Performing the Past featuring world premieres by our resident composer Sandra France. We are especially proud of our 14 students that recently completed their first AMEB Rock School Exams receiving an average score of 95%, an outstanding achievement! Groove Warehouse Angels continue to be the life blood of our success. Special thanks to Michael Camplin who continues to provide web support, professional guidance and photographical brilliance to our daily activities, Sean Maloney who designed and installed the wonderful signs in and around the GW, Jason Borg from Technic Trims for his daily support on a wide range of building upgrades etc, Simone and Zsofi de Haan for the loan of their beautiful Yamaha Grand Piano. 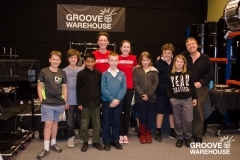 A special thanks to all those members of the Groove Warehouse community who generously give their time carrying instruments, loading trucks, providing refreshments, chats, advice and guidance on a wide range of issues. Most importantly sincere thanks my wonderful family Sandy, Nette and Isobelle France who continue to provide loving support and encouragement as I pursue my passion for All Things Drums and Percussion. Hello Folks, here is our schedule for Canberra Drummers Day 2016. There is plenty of great presentations, concerts and trade displays to satisfy the inner drummer in all of us. Food and drink are available on site. Make a Joyous Sound ! 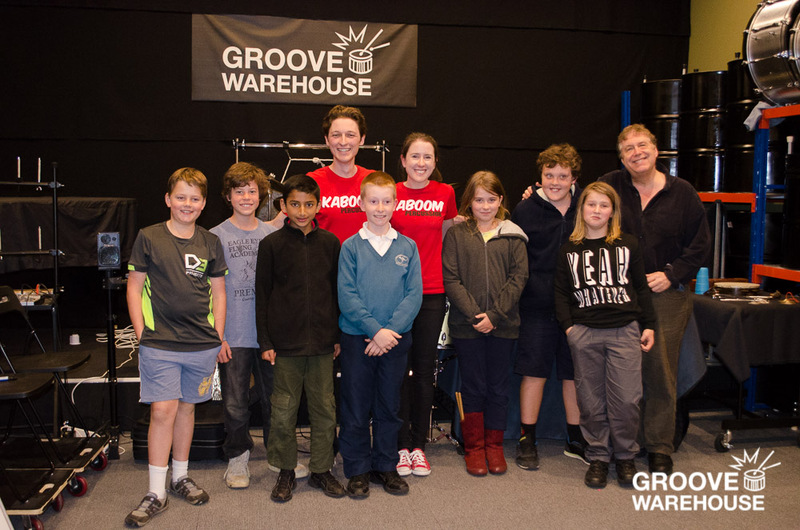 In the past week, we’ve had a couple of the worlds top drummers visit Canberra and The Groove Warehouse. We’ve been very busy with school visits, clinics, hands-on intensives, workshops and concerts! 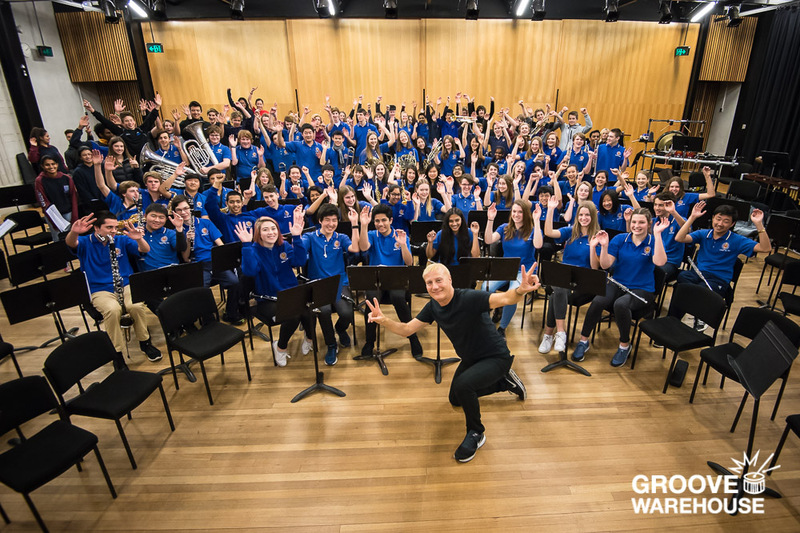 Gregg arrived in Canberra on Wednesday 24th August and headed to Lyneham High School and joined the music class for a lesson. Gregg discussed many aspects of playing in bands, practicing, the bands he plays in and joined the band for a song, before taking the role as conductor and getting to band to play a little bit of Toto (one of the band’s he’s played with). It was a thoroughly enjoyable session. 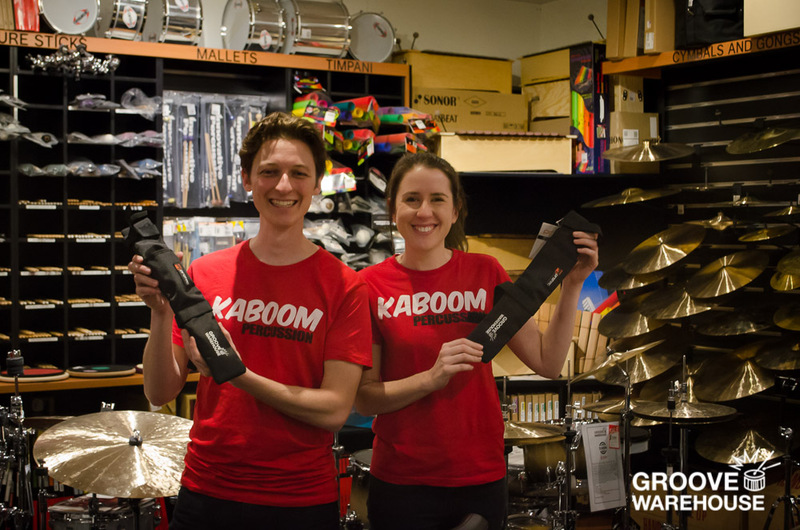 On Wednesday evening, we ran our first ever drum clinic outside of the Groove Warehouse at The Basement in Belconnen. Gregg came on stage and kept us all entertained with lots of music, stories and anecdotes from his time playing with some of the worlds top artists. He teamed up with Gary to demo the beautiful Chris Brady Artisan snare drums. Congrats to our lucky door prize winners and Alen who won the major prize of the Dixon Snare drum. A big thanks to the staff at the Basement and our amazing sound guy Clem who made the night possible. On Thursday Gregg conducted a hands-on session with a small group of drummers where Gregg talked and demonstrated a range of styles and techniques with the participants with lots of hands on interactivity. 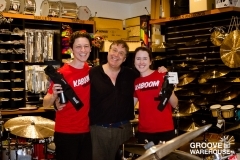 American jazz drummer and music educator John Riley visited us on Monday 29th August. John conducted a workshop covering many aspects of jazz playing for 10 drummers who traveled from as far as the NSW central coast for the session. During the day, musicians Ben O’Loughlin (bass) and Hugh Barrett (piano) joined the workshop and each drummer took turns to play a tune with them while John watched on providing and provided valuable insight and feedback to them and the class. After the workshop, John, Hugh and Ben played an amazing concert for a sellout audience. In between the numbers John explained a few of the “trade-secrets” that the guys were using to be able to play flawlessly and unrehearsed together. 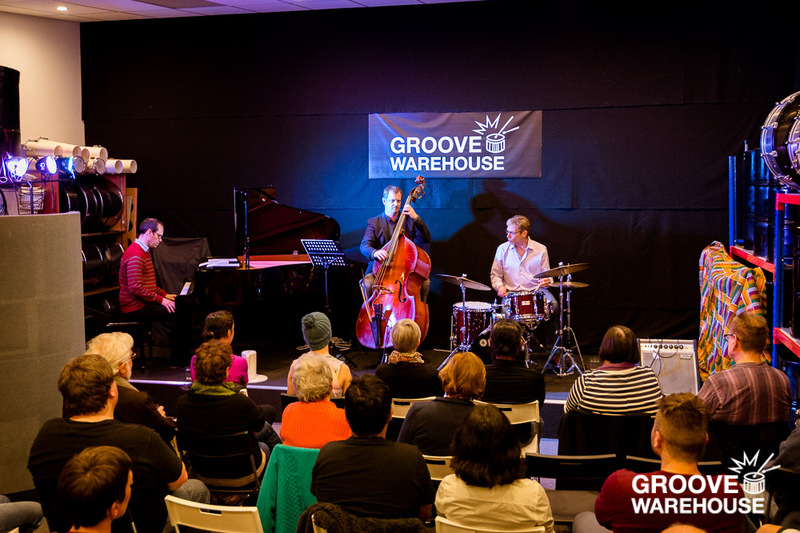 It’s been a busy time for the Groove Warehouse and it’s not slowing down anytime soon! We recently attended the ACTMEN conference on June 24th. The Groove Warehouse had a small stall displaying some of our educational products. Our Director, Gary France ran a workshop for the conference attendees. Here’s a gallery of images from the Term 2 Adult classes. Looking forward to seeing you all in Term 3! The Adventures in Rhythm Holiday Program is now in full swing! 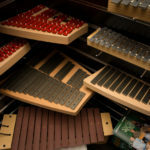 This program for children explores the rich world of percussion with an emphasis on coordination, found sounds and the creation of soundscape music improvisation. The attendees will perform on a vast array of the Groove School’s world music collection including an Indonesian Gamelan Gong ensemble, African Collection including djembes, Cajons, and other hand percussion. Term 3 – About to kick off – don’t forget to enrol! 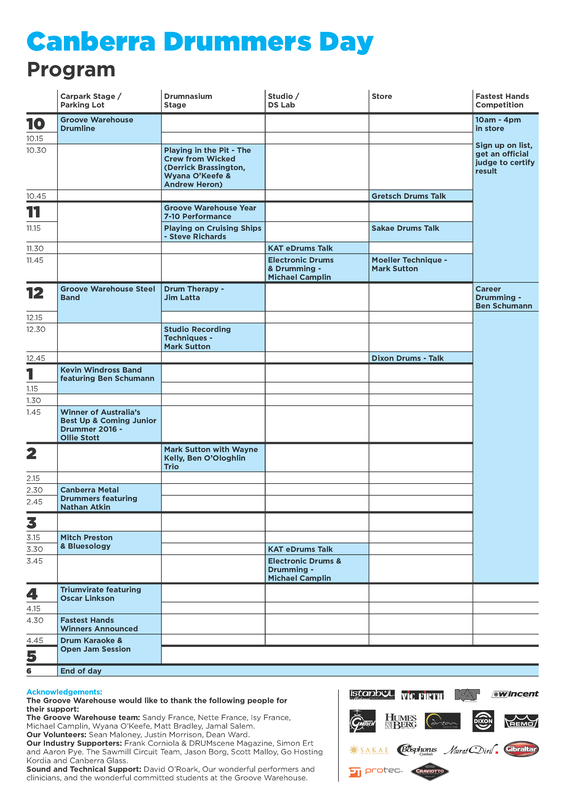 Term 3 starts of July 18th. Our classes are filling up quickly so make sure you enrol as soon as possible!! 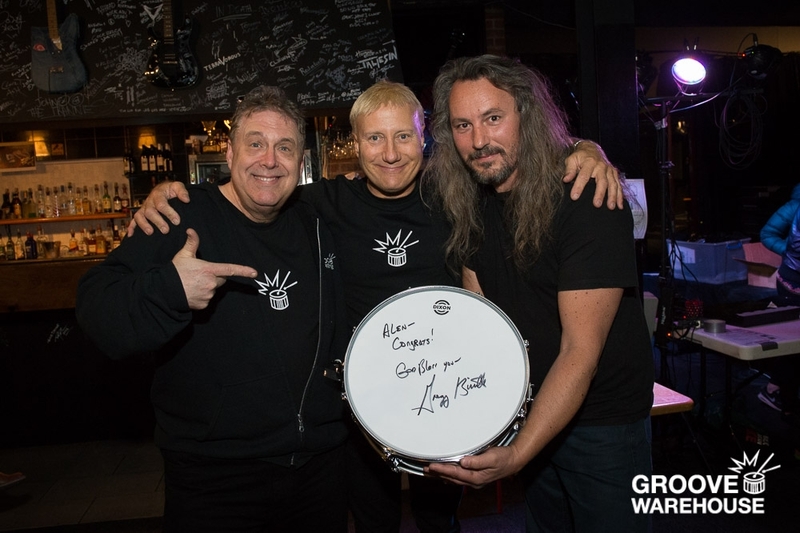 We’re proud to be bringing international superstar drummer Gregg Bissonette to Canberra on the 24th-25th August for an evening drum clinic open to all and an intensive rock and studio drumming workshop on the 25th. The drum clinic will be held on the evening of the 24th August. Full details coming soon! Did you know that the “Australia’s Ultimate Drummers Weekend” (AUDW) is the longest running drum show in the world? This year marks 23yrs since the show first started back in 1993. Our Director, Gary France will once again form part of the judging panel for the “Australia’s Best” drummers competition that runs in conjunction with the show. A number of the Groove Warehouse crew will be in attendance, so if you’re interested and fancy a trip to Melbourne (27th & 28th August), there will be a few familiar faces! American jazz great John Riley is coming to Canberra on the 29th August for a one day jazz intensive workshop. This is your chance to learn from one of the worlds jazz greats without leaving Canberra! Canberra Drummers Day – Save the Date! Time to ‘Save the Date’. 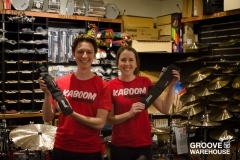 The Groove Warehouse is going to celebrate our local Canberra Drummers on October 22nd this year. We’ll be announcing all the details over the next couple of months. 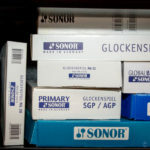 Sonor Orff Instruments Have Arrived! 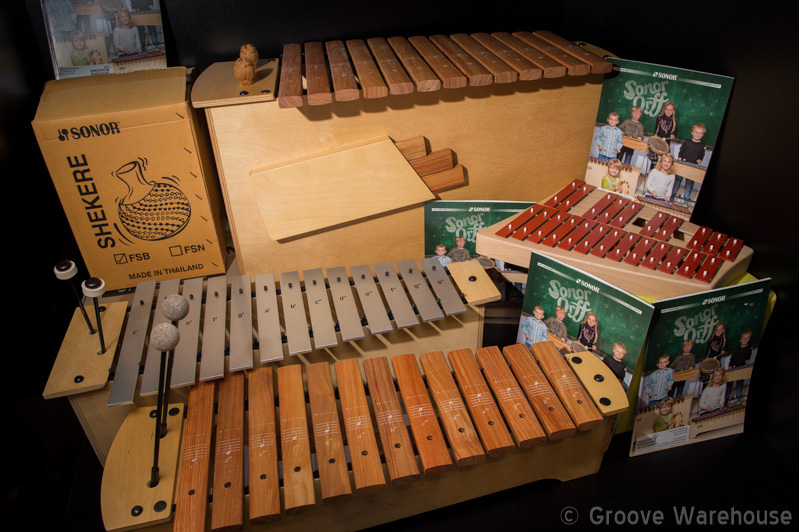 Sonor Orff instruments are now in-store at The Groove Warehouse. 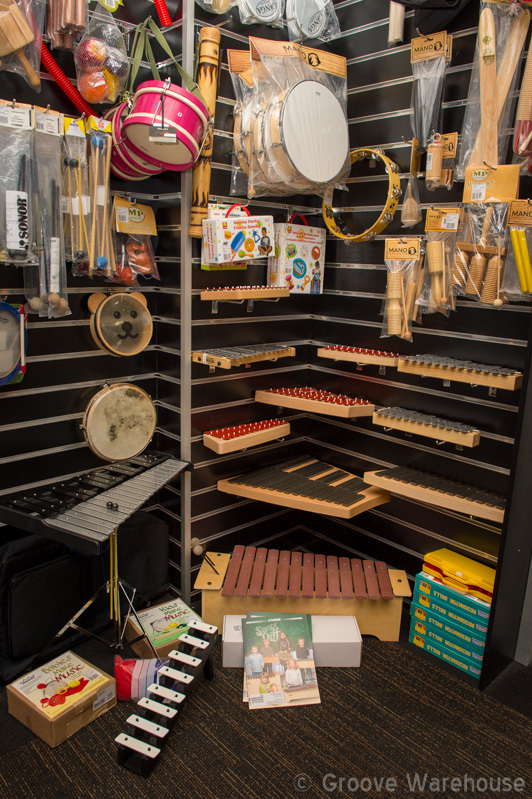 These beautifully crafted instruments will suit your education needs. Come in to the store and check out the build quality and craftsmanship. Carl Orff and Gunild Keetman developed the OrffSchulwerk method in the late 1940’s. Their unique approach to elementary music and movement started to gain more popularity mainly due to the broadcasting of ”Schulwerk programs“ on Bavarian radio. The Links’ foresight, along with their passion and vision for expanding the range of products, provided the inspiration for the development of SONOR Orff Instruments which were officially included in the production range in 1953. This was the beginning of a new era. The Links pioneered continuing musical education from which groundbreaking didactical concepts originated, and they invested heavily in R&D which produced much technological advancement. Such as the sound bar material used in Palisono products or the invention of chime bars. 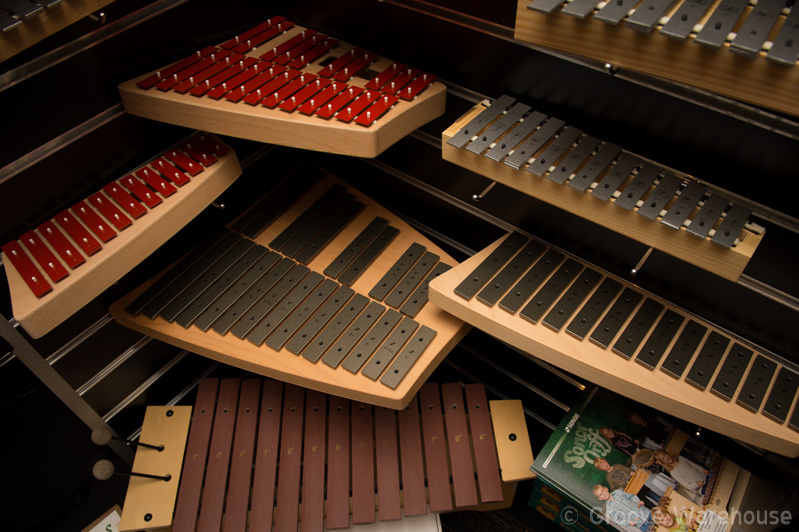 Chime bars, for example, offer many educational possibilities for therapy and group lessons. They play an important role in musical language therapy for the hearing impaired, as auditory potential can be activated through the exceptional vibration characteristics of the Sub Contra and Contra Bass Bars. At Sonor, we are proud of our long history and are indebted to the entrepreneurial spirit of the Link family. The close and continuing collaboration with pedagogues and therapists, who support our seminars and are involved in product development, is the basis for our practice-oriented focus today. to give you music-making pleasure! Head over to out online store to check out some of the great deals. There are also plenty of in-store deals, so don’t be a stranger and pop into our store before the end of June. Morning tea, and afternoon tea provided, students bring their own lunch. Drums, sticks and music provided. The Adventures in Rhythm Holiday Program will explore the rich world of percussion with an emphasis on coordination, found sounds and the creation of sound scape music improvisation. 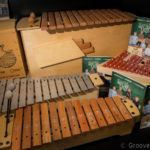 Children will perform on a vast array of the Groove School’s world music collection including an Indonesian Gamelan Gong ensemble, African Collection including djembes, Cajons, and other hand percussion. Our program will prepare short musical presentation that will build an inner awareness of rhythm timbre and pulse. 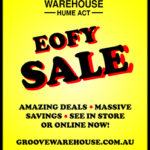 All Groove Warehouse staff and faculty are registered with ACT Government for “Working with Vunerable People”. Morning tea, and afternoon tea provided, students bring their own lunch – drums, sticks and music provided. Damian is one of Australia’s most exciting drummers and educators. His camps in Melbourne routinely sell out. This is the perfect chance for your child to begin or enhance their Drum Kit journey. The GW is proud to have Damian in residence. Numbers are limited get in quick to avoid disappointment. Damian Corniola has been touted as Australia’s nova in the wings. He has studied with and been influenced by many international drumming legends and has successfully welded their drumset wizardry into his own individual, powerful and eclectic style. Damian was christened into the world of drums at 15 months and at the tender age of 4, performed with The Drumtek Junior Ensemble at the 1993 Ultimate Drummer’s Day. He went on to astound attendees at the Australian International Music Show in 1994, 1995 and 1997 with exhilarating displays of independence, groove and maturity beyond his years. At 10, Damian released the top-selling, instructional video, Inspirations – a world 1st. 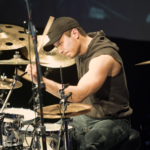 He signed to Sabian and Vater drumsticks as the youngest endorsee in Australia and opened for Dennis Chambers at a major drum clinic in Melbourne and embarked on his first national clinic tour supporting renowned drummer/educator, Darryn Farrugia. Damian’s extraordinary fusion of odd time meters, polyrhythmic interpretation and double bass ascendancy led him to win Australia’s Best Up & Coming Drummer Competition Junior title in 1997, Intermediate title in 2001, 2002 and 2003 and at the tender age of 16 won the open category. He still holds the record of being the youngest drummer in OZ to win the open competition at 16 and all three prestigious national categories. Damian commenced 2013 with a highly successful series of drum camps and also recently recorded an album with guitarist Glenn Proudfoot titled “Animal” Performed as a power trio. Damian was invited to perform a series of masterclasses at the inaugural PAS – National Drum & Percussion Camp 2014 at Elder Conservatorium of Music, University of Adelaide. 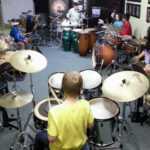 For the past ten years Damian has been part of the teaching faculty at the Drumtek School of Music, including recording & performing with many high profile bands and artists. Currently he is in the finishing stages, composing material for his highly anticipated debut solo CD and drum DVD releases. 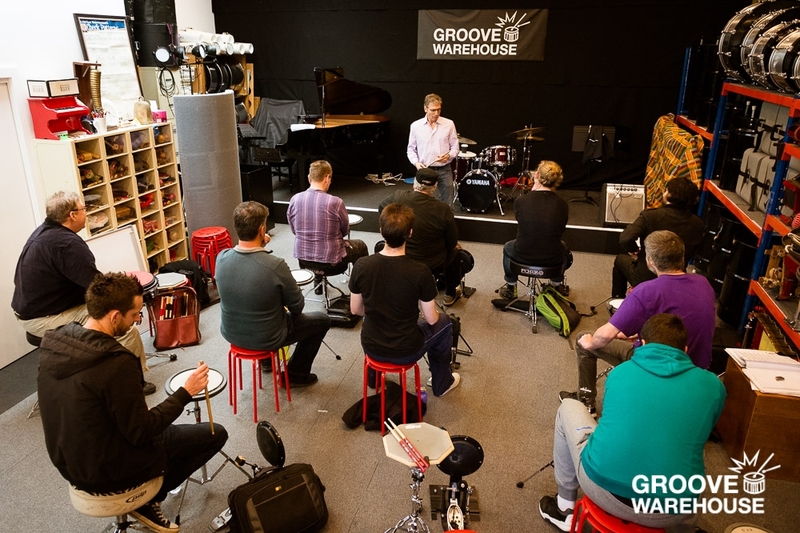 The Groove Warehouse’s Repair Centre provides professional service for the repair and maintenance of drums and percussion equipment. We specialise in servicing the drum and percussion needs of public and private School Music programs within the greater National Capital region and provide a priority repair service for Schools and Teachers. Recently we performed a full restoration of a vibraphone for Mt Stromlo High School. We also fitted Remo silent stroke drum heads to their drum kit to keep the noise down during practice. 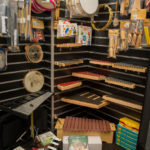 Today, the repair centre is in full swing with jobs including new heads, lug lubrication and general clean for a concert Bass Drum, the restoration of a badly damaged bass metallophone, some minor repairs to a bass xylophone and we’ll be starting repairs on four snare drums. Some of the schools and organisations we’ve done work for recently are: The Australian Federal Guard, The ACT Instrumental Music Program, Canberra Grammar School, Torrens Primary School, Arawang Primary School, Bungendore Primary School, Garren Primary School and Farrer Primary School. 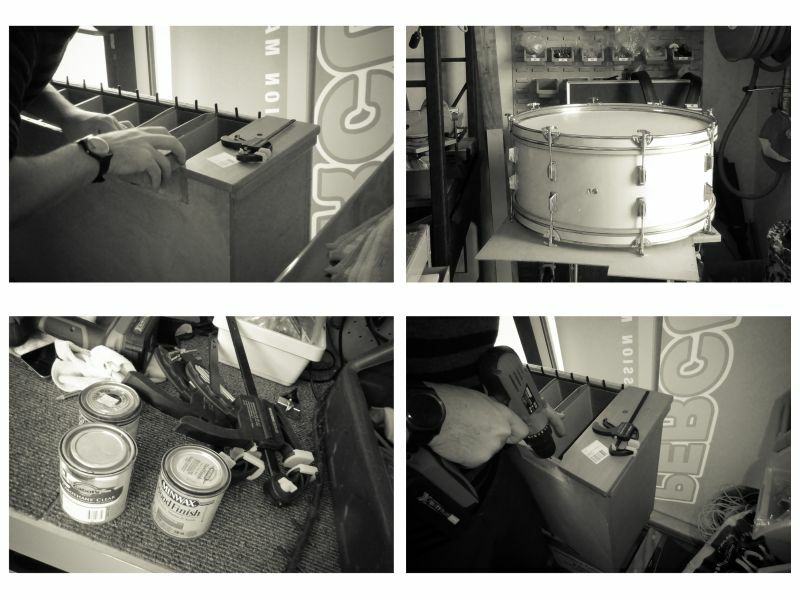 If you’re needing work done on your drums and percussion equipment, pop in for an obligation free quote. We can do most minor repairs and adjustments for your instrument in-store, often, while you wait!